Dan knows how to help people relax and be themselves in front of the camera. He is a master in capturing adults and children in the act of being themselves. "When I photograph, I see people through their own eyes," Dan says. Dan Brody Photography offers studio, beach and outdoor settings for portraits. 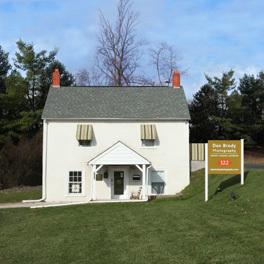 Dan's studio is located in the Farmhouse (address in link), in Radnor, PA – offering a calm, relaxed environment for his indoor portraits and headshots. He works with a simple white or black background, providing a clean, simple 'canvas' on which to create beautiful works of art. Beach portraits are available during the summer months in Margate, New Jersey. The warmth of the sand and the textures of the beach allow Dan to add distinct elements and special features to your portraits – ones you and your family will treasure for years to come. While some photographers limit themselves to single areas, such as only photographing small children, Dan is experienced and expert in working with all ages, relationships and groupings. See for yourself in the gallery!